This means, rather than focusing on the immediate costs vs savings, try viewing repairs and improvements from a more collaborative and long-term standpoint. We look at some of the common maintenance decisions you might need to make, and how looking beyond the numbers might influence your approach for the better. It’s great to look at your maintenance through the eyes of prevention, rather than more of a band-aid approach. 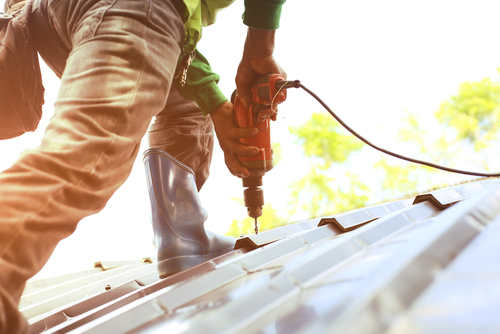 This method can help to keep your repair costs down in the long term and may reduce the number of emergencies you encounter at your property. Are your appliances ageing? What about external fixtures like gutters or decking? Commonly, items were renovated or installed at a similar time and this can also mean they break down or need attention at around the same time. Allowing for gradual replacement or repair of ageing items over time might be a good way to negate costly emergency call-out and repair fees, and keep your homemakers happy. Long-term thinking can be a smart way to save money overall on your property. Little things can make a big difference such as installing a few doorstops can reduce the chances of accidental holes in walls, or transition strips between the carpet and tiles can help your carpet to last longer by stopping the edges from fraying. Plumbing inspections (checking for leaks, inspecting gutters and downpipes, changing washers etc.). As well as any repairs or replacements you wish to undertake. Choosing the right homemakers can make all the difference to property maintenance. It’s great to ensure that the goals you have for your property match up with those of your homemakers. For instance, long-term homemakers could be disappointed, or even leave, if the property is in need of a lot of maintenance. If it isn’t in your schedule to do maintenance in the short-term, either because you wish to save money or you intend to sell the property, then is a long-term homemaker your best fit? Your choice of homemaker may also inform your repair decision-making. For example, you may resolve to leave replacing the carpets in the home while there are small children living there and instead opt for other improvements, such as installing items like safety gates and new railings to ensure everyone is safe. Being honest with your homemakers about your plans with the property is really helpful, both before they move in, and throughout their tenancy. This process can be guided by a great consultant. Despite all our best pre-emptive efforts, things still may break down or wear out in your investment home. When deciding what to do, it’s great to take a moment to consider all the options. You might consider how long you want to keep the property. If it’s a long-term investment, you may be more inclined to replace, especially if something is ageing. You may also consider your homemaker’s requests. Sometimes it’s tempting to think only of the initial expense. But if your homemakers are enjoying living in your property and look after it, and intend to stay for a while, it might make good business sense to replace an item or even install one they ask for. After all, sometimes the cost (and risk) of finding new homemakers can overtake the cost of replacement. Ultimately, most maintenance choices (both big and small) are better made proactively. Looking beyond the numbers, and understanding the people part of the decision-making process is so beneficial to a smooth transaction. Coming to compromises, communicating openly, and thinking both long and short term, are always helpful to undertaking the maintenance process. That way, you have more chance of making the right maintenance decisions for you, your property and your homemakers, both now and in the future. 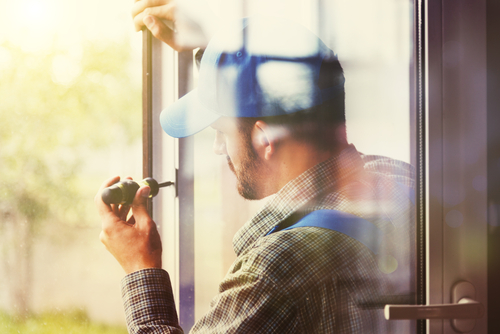 Are You Looking to Go Beyond the Numbers with your Property Maintenance? Bluebell Connections can work with you to apply a smart and people-focused approach to your investment maintenance. Get the benefit of our extensive experience in property, personalised service and advanced communication strategy, for all aspects of property management. We deliver both traditional and Airbnb management services for residential property owners across Brisbane.